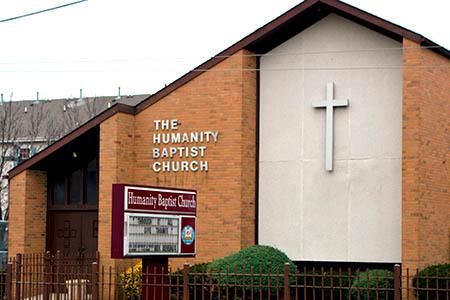 The Humanity Baptist Church is an urban community church located in the central ward of the beautiful city of Newark, NJ. Rev. R. L. DeVeaux serves as our senior pastor. Humanity serves all of the community, and claims the whole community as the space where our faith is demonstrated on a daily basis through prophetic witness, humble service, and sincere outreach. We believe that our calling is to be faithful to sharing the good news of Jesus’ sacrificial love with all persons, regardless of race, ethnicity, identity, socio-economic status, or faith tradition. As a faith community THBC strives to exalt God, live according to the teachings of Jesus Christ, and to share the good news of the Gospel of Christ as we live out our calling as people who love God and all humankind. The Humanity Baptist Church had its spiritual beginning in the mind of God’s servant, Bro. Simuel W. Simmons and was manifested on earth on August 25, 1950 at 50 Rutgers Street, Newark, New Jersey in the home of Mr. & Mrs. Theodore Brock. Worship service was held as this address for one month and then relocated to 23 Colden Street, Newark, N.J.
On November 1, 1950 Bro. Simmons was ordained and called to be Pastor of the church. The first anniversary yielded less than $100.00. In the second year,1952, Mary Kathleen Simmons was baptized by Rev, B. F. Johnson using the facilities at Emmanuel Baptist Church. Mary Kathleen was also the first wedding conducted at the church (1968). In May of 1959, the church relocated to 23 14th Ave., in the neighborhood where most of its members resided. 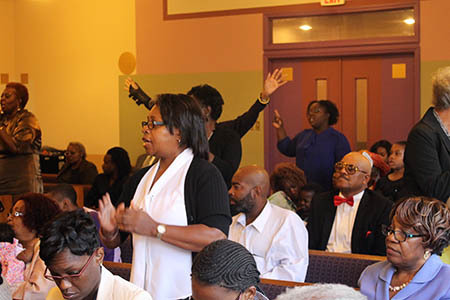 In the 1962, the church purchased a lot from the city of Newark located at 10 Prospect Place, and with much prayer and fortitude construction began in 1965. The congregation moved into its new edifice in March of 1968, securing a loan in the amount of $10, 000 from the American Baptist Home Mission society. The church burned the mortgage in September 1975. Rev Simmons recognized the needs of the community with the growth of the congregation. He embarked on a mission to establish the following programs: Humanity Community Program Inc., Prospect Buying Club, Prospect Community Development Corporation and Ethiopian Needlecraft Corp. Under pastor Simmons, one of the first free breakfast and lunch programs was offered to address the needs of the children in community. He mobilized members of the community and employed them to work in outreach services. During Rev. Simmons pastorship he recognized God’s hand working in the life of Deacon J. W. Brown. Deacon Brown held various positions in the church, from Sunday School Teacher, Superintendent of the Sunday School, Trustee, Business Manager, and Chairman of Deacon Board. J. W. Brown was called to the ministry, and the Christian Fellowship ordained him in 1975 into the gospel ministry. Rev. Simmons retired in 1979 and relocated to North Carolina. J.W. Brown became the pastor upon Rev Simmons retirement. 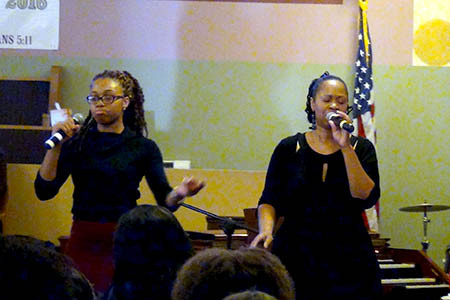 During the early part of pastor Brown’s pastorate, the church was displaced to urban development. Demolitions of the church began in 1980. At this time, Rev Brown’s search lead him to 235 Bergen Street, Newark as an ideal place to purchase land. A groundbreaking ceremony was held and construction commenced Rev. Brown advocated a preaching and teaching ministry, with Bible study offered throughout the week and Saturdays. Under his leadership two committed servants were added, Rev. Wilton Gyant and Rev. Willie Gordon. Rev J. W. Brown was called home to be with the Lord on September 28, 2000, leaving the church without a leader. 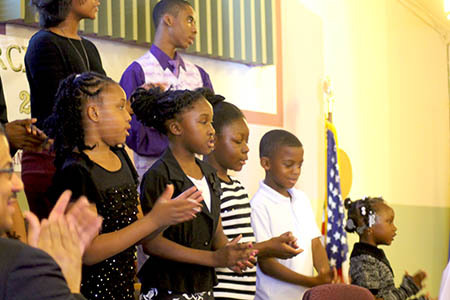 Being without a pastor for over two years, the church continued to grow and serve the Lord. The congregation took a vote and the Rev. 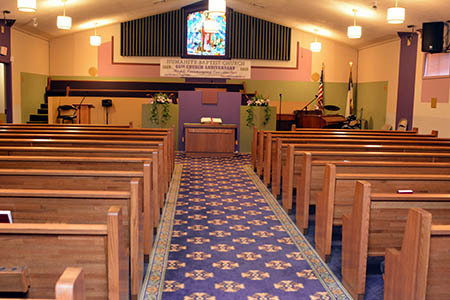 Francis E. Gilliard became the third pastor and on March 16, 2003 he was installed. Under his leadership the church continued to grow both physically and spiritually. He served in this capacity until August 2006. In April of 2007 Rev. Robert L. DeVeaux was selected and became the interim Pastor of the church in which he served for one full year. On March 3, 2008 Rev. DeVeaux was called to the pastorate. On Sunday October 19, 2008. Rev, Robert DeVeaux was formally installed as the fourth Pastor of the Humanity Baptist Church. Rev. DeVeaux was credited with leading a renovation of the sanctuary within his first year. His ministry has led to several land mark events of Humanity including the formation a Community Development Corporation to minister the greater Newark area as well as expanding the ministry and outreach offering. 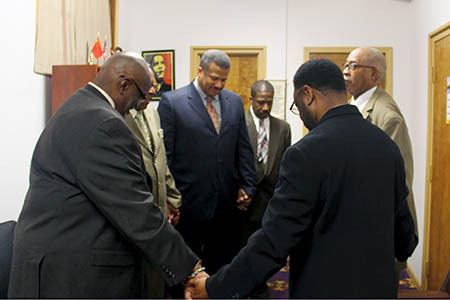 He has implemented a community tithe program that returns a percentage of the congregation’s offering to the community. I was intrigued by the location. It centrally located in the city. I wanted to be in the central ward. I wanted a place to practice my faith. The people were so open and warm to me and showed me so much love that I’ve been here now for three years and look forward to the continued love.